English, Dutch and French speaking respectively, Guyana, Suriname and French Guiana are hardly touched by tourism and inhabited by a huge variety of wildlife - including tapirs, giant river otters, monkeys, armadillos, and thousands of spectacular birds and butterflies (the Guyanese love to say they have the biggest of everything). The terrain is varied, from mountainous jungle with dramatic waterfalls to mangrove swamps and lush savanna. Culturally, the Guianas are equally diverse: Amerindian tribes, colonial eccentrics, and the legendary descendants of African slaves - the Maroons - inhabit remote villages and settlements. Other influences include Hindustani, Javanese and Creole - inspiring some delicious fusion cuisine. The capital cities of Georgetown (built with the profits of rum and Demerara sugar), Paramaribo (a UNESCO world heritage site) and Cayenne have some fine colonial architecture. French Guiana is home to the European space centre’s primary launch site and a number of fascinating penal colonies, including the infamous Île du Diable. 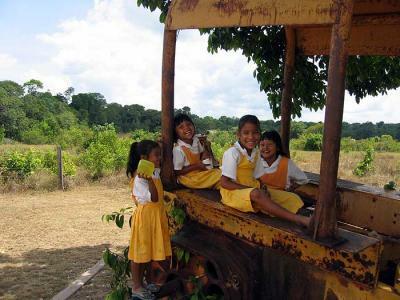 Stay near the Amerindian (of which there are 9 different groups in Guyana) village of Surama, a hugely successful community tourism project where once can experience a real interchange of cultures between visitors and the local Makushi community. 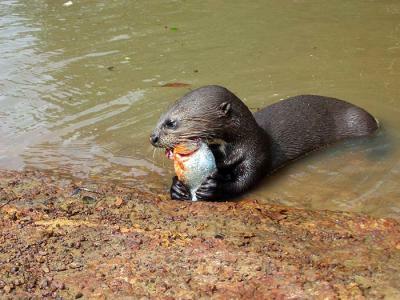 Karanambu is home to Diane McTurk, a world expert on the care and rehabilitation of the Giant River otter who over the years has been a surrogate mother to over forty orphaned cubs. 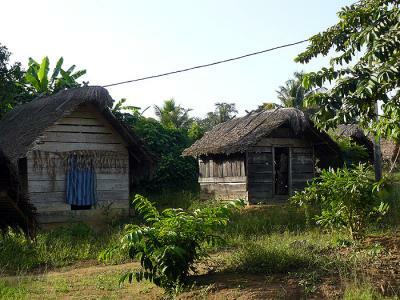 Maroons were African refugees who escaped slavery and formed their own isolated communities in Suriname's remote forested interior. A visit to a marron village to understand their culture is a unique experience. 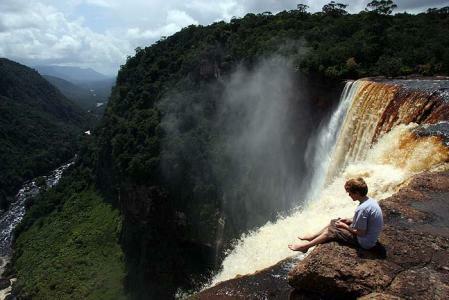 Guyana: The mean shade temperature is 27°C (maximum 31°C, minimum 24°C). On the coast the heat is tempered by cooling breezes from the sea. There are two wet seasons in the north, from May to June, and from December to January. The south has one wet season, generally from May to August. Rainfall averages 2,300mm a year in Georgetown. While the dry season generally offers the best wildlife viewing, the waterfalls are at their most spectacular in the wet, when the savanna is also at its greenest. Suriname: The climate is tropical and moist with a cooling trade wind. The annual mean temperature is 27 degrees. The main dry season is February to April, and the rainy season is April to August, although when it does rain it is not usually prolonged. Turtles come ashore to nest during the rainy season; July is the best month to see eggs being laid or baby hatchlings making a dash for the sea at high tide. Guyana: Yellow fever recommended, and Malaria highly recommended. You should be up-to-date on tetanus, typhoid and polio. Suriname: Yellow fever, tetanus and polio advisable. If you are travelling into the interior, a course of anti-malarial tablets should be taken. French Guiana: All visitors to or passing through French Guiana must have a yellow fever vaccination certificate. Tetanus, typhiod and polio are recommended. Anti-malarials are recommened if visiting low-lying areas. Guyana and French Guiana: Not required for most nationalities (including all Commonwealth countries). Guyana: The official currency is the Guyanese dollar. There are $1,000, $500, $100 and $20 notes and $10, $5 and $1 coins. Most Georgetown hotels will change sterling, US dollars or Euros in either cash or travellers cheques, in the interior it can be hard to find places willing to change money. Credit cards can be used in larger hotels but charges may be made. Suriname: The Suriname Dollar (SRD), is divided into 100 cents to 1 dollar with notes to the value of 100, 50, 20, 10, 5, 2.50 and 1. All major credit cards are accepted and ATM (hole in the wall) machines are commonplace in Paramaribo, though will only dispense SRD, US$ or Euros and should not be relied upon. Small denomination SRD should be taken into the interior. French Guiana: The official currency is the Euro. Guyana: The blend of different ethnic influences in Guyana – Indian, African, Chinese, Creole, English, Portuguese, Amerindian, North American – gives a distinctive flavour to Guyanese cuisine. Try dishes such as Pepper Pot, meat cooked in casareep (bitter cassava) juice with peppers and herbs. Garlic Pork is a speciality at Christmas. Curry and Roti is popular everywhere. Seafood is plentiful and varied (especially shrimps), as is the wide variety of tropical fruit and vegetables (cassava and yams are particularly prevelant). Rum is the most popular drink, the quality of which is world class (Guyanese rum regularly wins prizes). French Guiana: The best restaurants are in Cayenne, although French, Continental, Vietnamese, Chinese, Creole and Indonesian restaurants can be found elsewhere. A typical dish in the country is Bouillon d'aoura (smoked fish, crab, prawns, vegetables and chicken, served with aoura, the fruit of Savana trees). The forest provides a rich supply of game such as, collard peccary, paca and tapir. These are usually eaten as a fricassee and are accompanied by rice and kidney beans. Guyana: Few and far between (local communication with the interior is mainly by radio, although satellite internet is changing things quite rapidly). You can use a BT chargecard - dial 0169 (169 Georgetown) for the operator. The mobile networks are still analogue so most UK mobiles will not work. Suriname: Private telephone offices can be found in Paramaribo and are often the best place to go for international or local calls. Dial 00 for international and then the country code (e.g. 44 for the UK), leave off the zero of the town code. You pay when you have completed the call. French Guiana: Roaming agreements exist with most international mobile phone operators. Coverage is limited to main towns. Handsets can be hired locally. Guyana: Official language is English but several Amerindian languages (there are nine distinct ethnic groups in Guyana) and Creole (which is a pidgin English) are widely spoken. The National flower is the Victoria Amazonia (formerly known as Victoria Regia), and the National bird is the Hoatzin, locally known as Canje pheasant. Suriname: Dutch, although English is widely spoken in Paramaribo, and also a local dialect, Sranan-Tonga. French Guiana: The official language is French, though most of the population speak a Creole patois. English is also widely spoken. Guyana: Traffic drives on the left, and while the main highways are in reasonable condition minor roads are often bumpy and dusty. Suriname: Driving is on the left. Only 25% of roads are paved. All driving licences are accepted but a stamp from the local police with deposit is needed. French Guiana: Traffic drives on the right, with the best roads along the coast. An International Driving Permit is recommended, although is not legally required.